The Bureau of Labor Statistics (BLS) projects that 9.8 million jobs will be generated between 2014 and 2024. 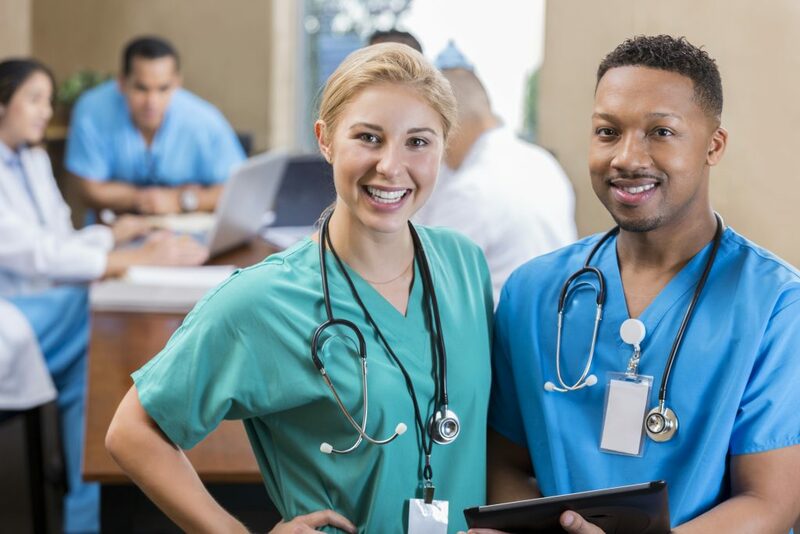 Healthcare occupations will contribute 2.3 million of these new jobs, making it the industry with the fastest employment growth over the decade. Which parts of the healthcare sector will be creating this job growth? Let’s take a look. This sector of the industry is anticipated to see the most growth, adding 760,400 new jobs to the total jobs in the market. This comes as no surprise: as the general population ages, the demand for home health care increases. If you’re looking ahead, this means we’ll need more nurses, pharmacists, and other trained professionals to provide quality care to those at home. On the flip side of home health care, many opt to work with nursing and residential care facilities to provide care for their loved ones. These are often a solution when loved ones do not live nearby or do not have the resources needed to provide the care the patient requires. The BLS anticipates 735,700 new jobs in this health care sector. While the population may be aging over the next decade, it will also be growing. To meet the growing demand for quick patient care, the BLS expects to see huge growth in outpatient care centers. These onsite care centers will alleviate the anticipated increase in hospital usage by triaging more minor incidents. Outpatient care centers will see 348,100 new jobs added over the next ten years. You may have picked up on the trend of the increased need for medical care over the next ten years! Hospitals are no exception to this growth as they facilitate a wide array of healthcare needs, ranging from urgent to outpatient. The roles required to accommodate this growth will also vary from sonographer to lab technician to nurse and everything in between. Hospitals will create 394,900 new jobs through 2024. This segment of healthcare includes the offices of chiropractors, optometrists, mental health practitioners, physical therapists, occupational therapists, speech therapists, and audiologists. While it may be a diverse group of health practitioners, each of these niche medical practices is expected to see growth in the next decade. In fact, these specialties combined will yield 352,300 new jobs through 2024. The increase in the labor force reaching the prime retirement age will slightly slow growth in the labor force over the next ten years, but it’s evident that the increase in those reaching retirement will create a positive impact across medical & science fields. The future looks bright for professionals in these industries!